Having a hard time finding an outfit that's comfortable yet totally stylish? 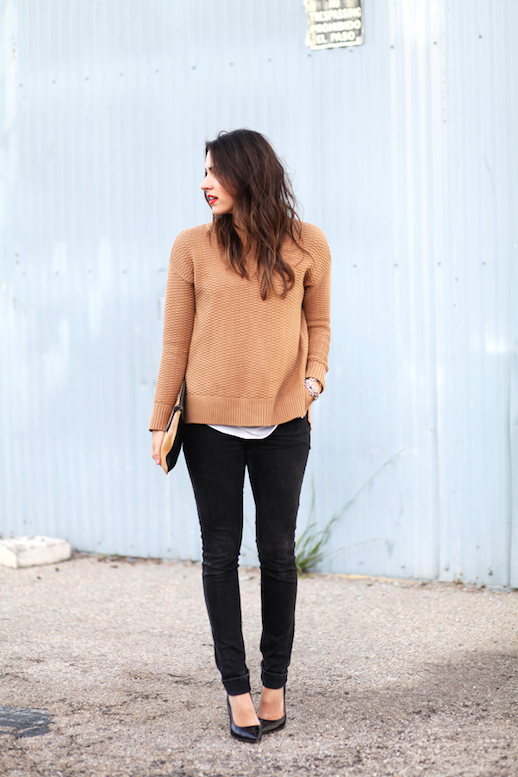 Take a note from Natalie and her casual chic camel sweater and black skinny jeans outfit. Her black pumps help keep the look laid-back, yet just dressed up enough for a night out.